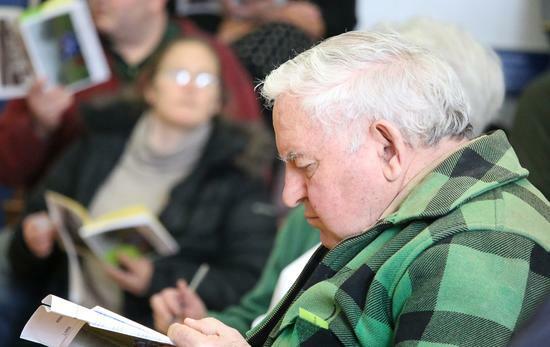 Nearly 200 people attended the Blue Hill annual town meeting April 7, approving $8.75 million in municipal and education spending requests and three new ordinances that banned single-use plastic bags and foam food service containers and relaxed street vending regulations. 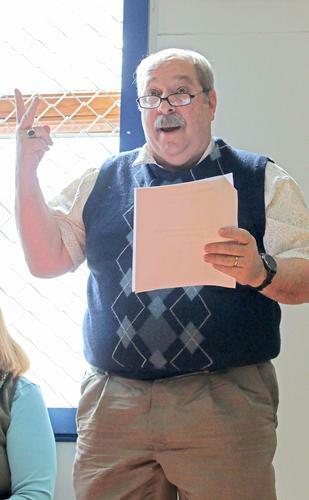 Eckley Herrick examines the town budget before raising questions. 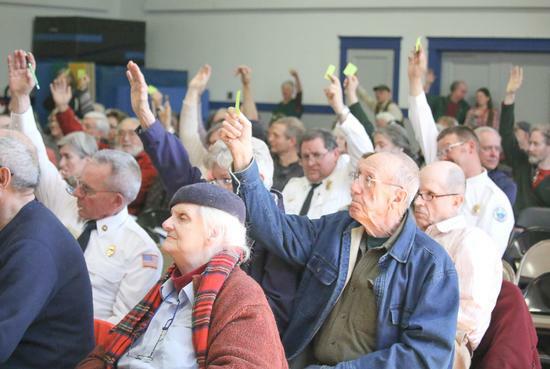 Citizens raise their voting cards at Blue Hill town meeting April 7. 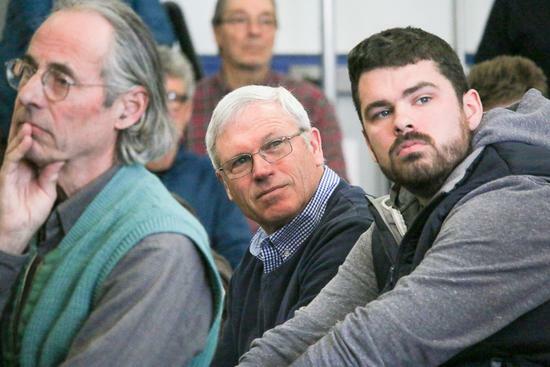 Mike Astbury, left, and son Josh Astbury listen to discussion on proposed ordinances. John Bannister speaks out against banning single-use plastic bags. 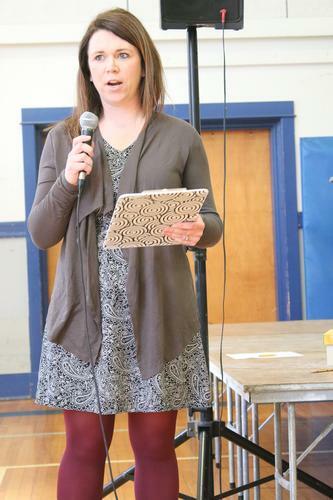 Blue Hill Consolidated School Principal Shelly Schildroth speaks of student needs and accomplishments. 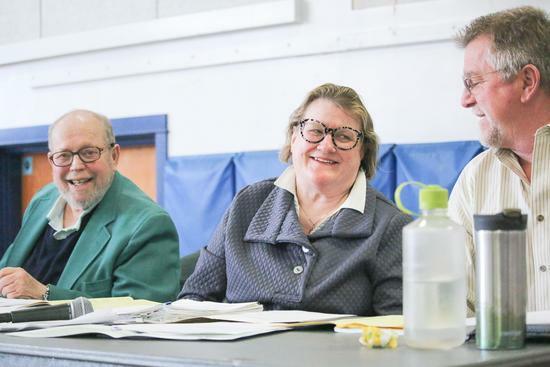 From left, Blue Hill Selectmen Jim Schatz, Ellen Best and Vaughn Leach discuss proposed articles. Order many of the photos you see on our website and then some! Most prints start at $1 and are delivered directly to you. Print your favorite newspaper photos on a mug, a t-shirt, or even poster size. Browse by publication date, keyword search or the individual galleries. Share your favorite photos to social media or download a link to share with all your friends and family.